Electronic Arts’ Battlefield Play4Free will launch Nov. 30 as a closed beta giving gamers a taste of the full game which will launch in spring 2011. 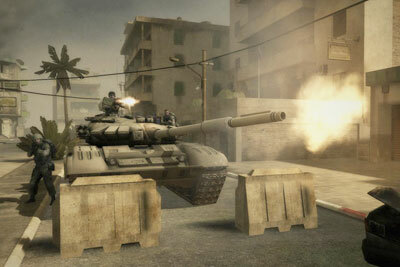 The online PC game features sandbox gameplay, 32-player battles, and maps from Battlefield 2. You’ll have access to 16 different vehicles from Battlefield: Bad Company 2 including the Mil Mi-28 attack helicopter, its nemesis the F35 VTOL jet fighter, the massive Russian T-90 main battle tank, and the hard to catch LSV light strike vehicle. “We broke new ground in 2009 with the launch of Battlefield Heroes; a game that has 6M registered players worldwide. Now we are complementing that arcade shooter with a core, realistic Battlefield shooter experience that fans have been clamouring for,” said James Salt, Senior Producer, Battlefield Play4Free. 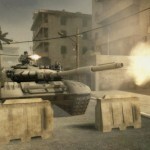 To register for the closed beta visit battlefield.play4free.com before Nov. 30, 2010. Hey, look–it’s that Battlefield 2 game I bought like… 5 years ago. Only it supports fewer players.